To Jan Bridget, youth worker, ran Lesbian Information Service. From Hebe Grace Phillips. 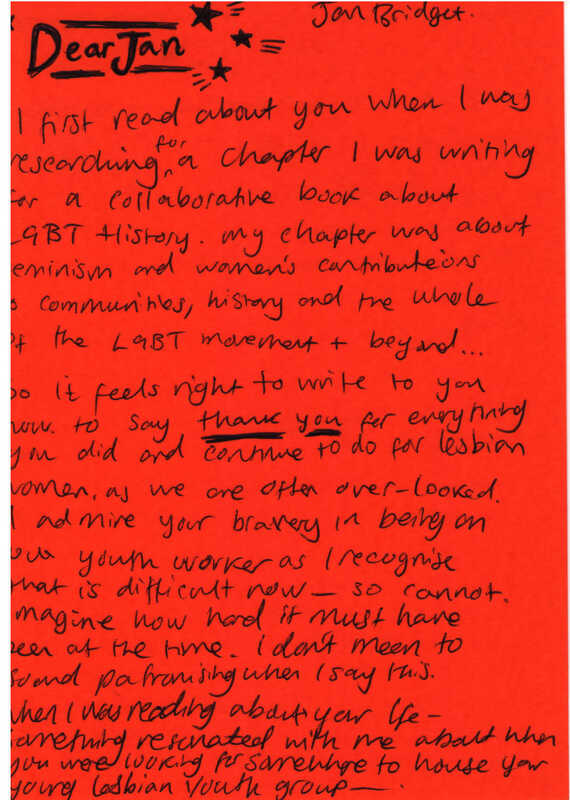 So it feels right to write to you now to say, thank you for everything you did and continue to do for lesbian women, as we are often overlooked. I admire your bravery in being an out youth worker and I recognise that is difficult now – so cannot imagine how hard it must have been at the time. I don’t mean to sound patronising when I say this. 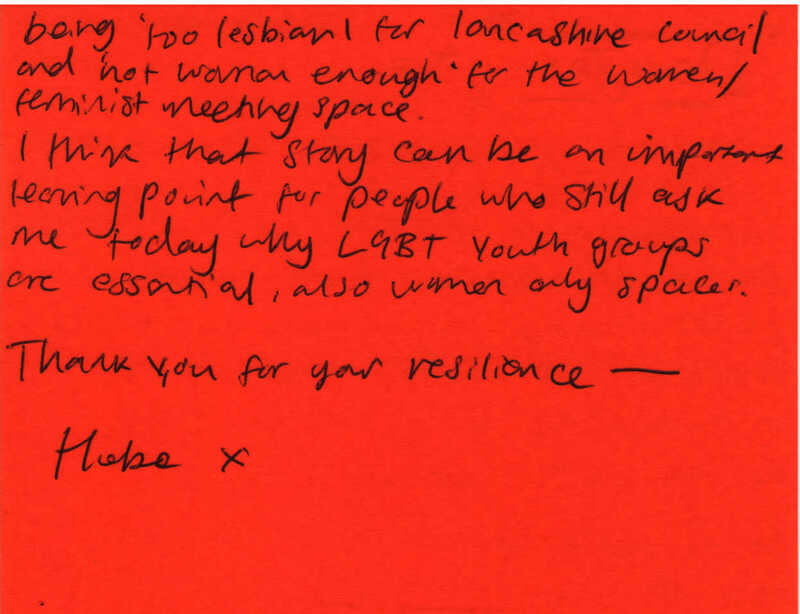 When I was reading about your life – something resonated with me about when you were looking for somewhere to house your young lesbian youth group – ‘being too lesbian for Lancashire Council’ and ‘not woman enough’ for the women/feminist meeting space. I think that story can be an important learning point for people who still ask me today why LGBT youth groups are essential, also women only spaces. youth worker, ran Lesbian Information Service. Born 1948. More information about Jan Bridget.